If you love bread you’ll almost certainly love eating bruschetta. Adding some amazing goodness on top of bread will surely satisfy your carb cravings. Even if you’re not a big fan of tomatoes and can be caught picking tomatoes off your sandwich you should still give bruschetta a try. There is something about the combination of ingredients that transforms the tomatoes into amazing goodness. 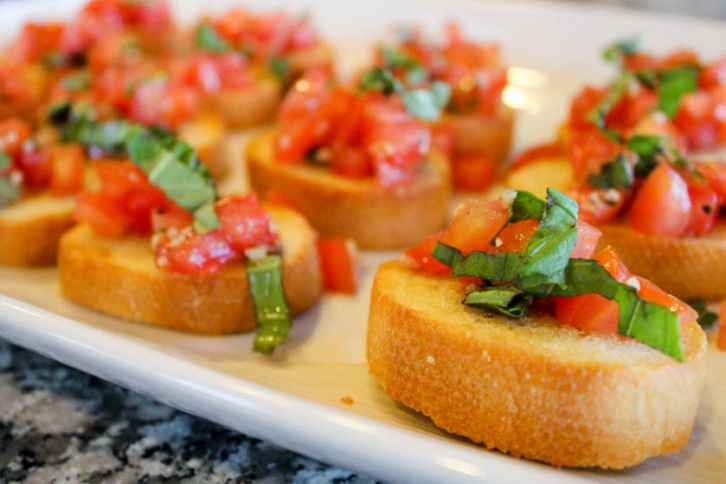 Bruschetta is easy to make and is always a crowd pleaser as an appetizer when having friends or family over.